INPUT pins are used to connect modifiers: pushbuttons, potentiometers and sensors. OUTPUT pins are used for LEDs. 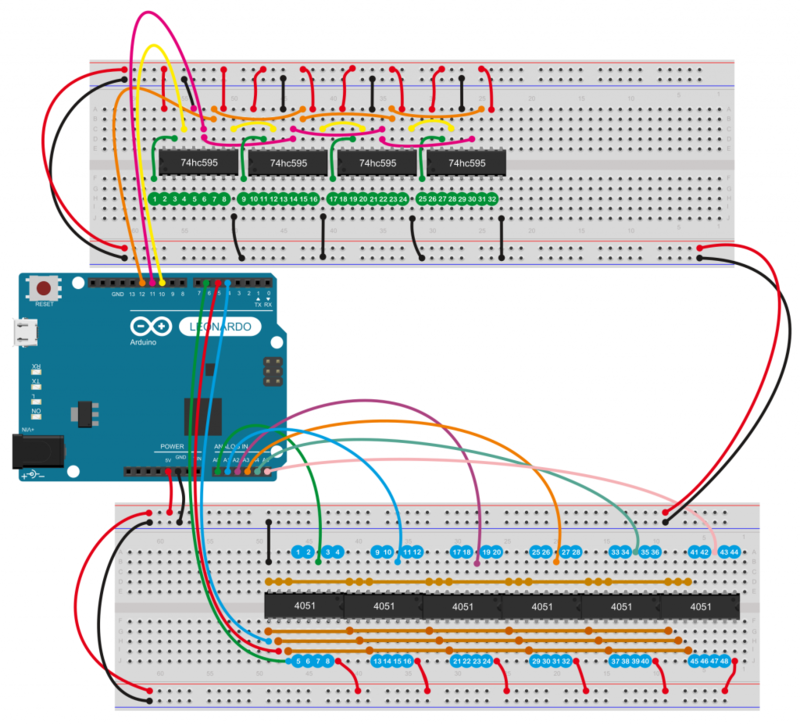 We recommend using Arduino LEONARDO to do these assembly exercises, because it is much faster to use for MIDI projects. Multiplexers – used to enable the 48 INPUT pins. 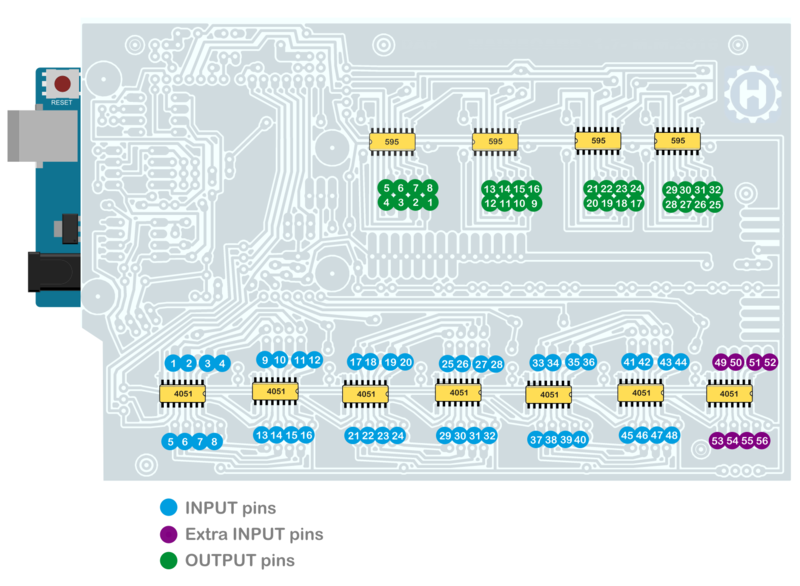 Shifters – used to enable 32 OUTPUT pins. each modifier or LED must be correctly connected to the +5V power line and to the GND line. LEDs are protected by a 220 Ohm resistor. The resistor value can be higher for UltraBright LEDs. TESTING and MONITORING the MIDI activity. Upload the DART_SKETCH onto the Arduino board. 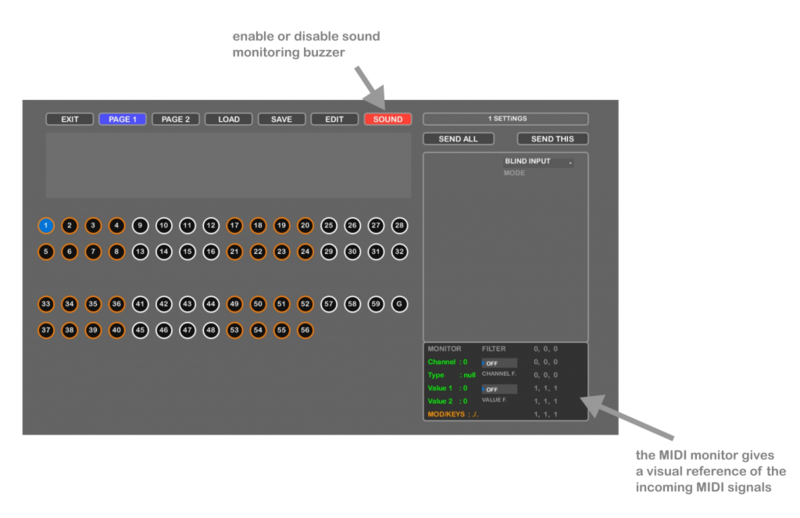 Run the DART_EDITOR app and choose the right MIDI in/out ports at startup. Any action on the modifiers connected to the DARTMOBO, can now be monitored on the EDITOR. The MIDI-MONITOR is giving a visual feedback of the MIDI data stream : a NOTE message is received at button pressure, a Control-Change (CC) message is received at potentiomenter motion. pushbuttons are automatically detected and set to control NOTE messages. Potentiometers are automatically detected and set to control CC messages. the AUTODETECT assigns a different MIDI message to each modifier, in order to avoid duplication and facilitate the immediate use of the newly created device. 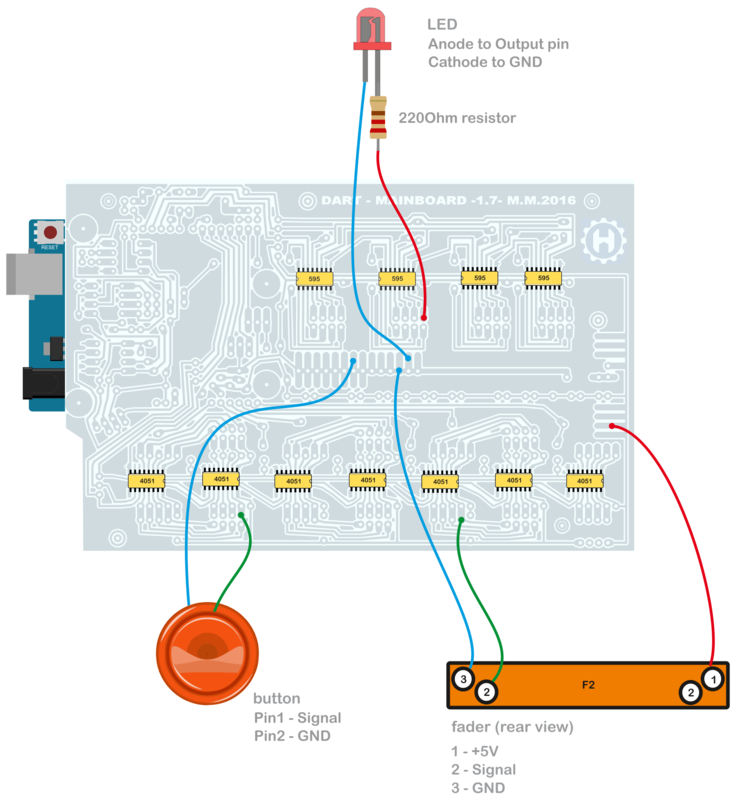 Modifiers (pots, buttons) can also be directly connected to the arduino inputs (Analog in 0-5), without using a MULTIPLEXER, as in the case of the DART_VECTOR in which only 3 multiplexers are used. take a look at the Dart_Editor basics guide.